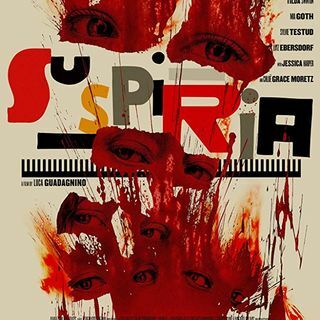 Suspiria (2018) is the hotly anticipated remake of the Dario Argento Giallo classic, and it takes the story and tone of the original film and does something wholly unique and innovative with it. Operating within the loosely defined confines of the original plot, the film follows Susie Bannion played by Dakota Johnson as she becomes the newest member of the Markos School of Dance only to find herself thrust into a plot to revitalize an ancient witch. Chris and Eric are joined by award-winning ... See More writer Jess Byard to talk about the Guadagnino's polarizing re-imagining of the film along with more than a little analysis of the film's actual lead, Tilda Swinton.